Troop 149 is located in Redwood City, California, in the beautiful San Francisco Bay Area. Boys enter the troop in the Spring of 5th grade and finish before their 18th birthday. Some join us after completing Cub Scouts. Others join us with no prior scouting experience. Our weekly troop meetings are typically held on Monday nights at 7:30 in Redwood City. Join us. If you are interested in learning more about our organization please Contact Us and plan a visit. Use our contact form or send an email to join@t149.org. Click here to see Troop 149 featured in the May 2013 issue of Redwood City's The Spectrum Magazine. Troop 149 began in Redwood City in 1943. 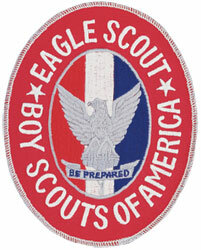 Troop 149 boasts a rich history of Eagle Scout rank achievement. As of July 2014, 86 Eagles have flown from the troop. Many of our scouts are members of Ohlone Lodge #63, Pacific Skyline Council's Order of the Arrow lodge. The Order of the Arrow is Scouting's National Honor Society. 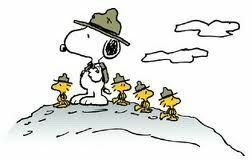 Please Contact Us to get an introduction to Troop 149. A trained adult volunteer will guide you through the registration process so you can get started and be part of the fun. Use our contact form or send an email to join@t149.org. After you complete an applicationand pay dues you will gain access to the *Members Only* pages of our web site, containing restricted information for Troop families.